Focused on two large product families -skin care and hair removal- we have the most advanced technology and our own regulatory department, which provides consultancy services for the regulation, registration and preparation of cosmetic dossiers. Our innovative philosophy enables us to design highly competitive ad hoc solutions, by developing tailor-made formulas and packaging, and to offer an extensive range of turnkey products ready for marketing. Once the product has been placed on the market, and throughout its life cycle, we offer ongoing support to our customers to help ensure the long-lasting success of the project. “We care about your brand”. More than 30 years’ experience working on the design, development, production and marketing of a wide portfolio of cosmetics for the mass market with leading international brands and retailers. Our capacity and versatility have allowed us to develop multiculturally. We are currently present in more than 50 countries. We actively look for ways in which we can improve, optimise and enhance our technical and technological knowledge and to be pioneers in innovation, by constantly monitoring global trends and new developments in cosmetics. We have our own R&D+i laboratory with a large and highly qualified team of chemical, biology and pharmaceutical experts. We develop the manufacturing technology in house. Our commitment to innovation is reflected in a five-year innovation plan: VIP “VIOKOX Innovation Plan”. At VIOKOX we work to ensure that all our products have the maximum efficacy, safety and quality, key factors in the cosmetics we offer. We also guarantee their stability throughout their useful life. Once we have developed a product, there is still much work to do: we use benchmark techniques and carry out efficacy tests, comparative consumer panels, challenge tests, clinical trials (dermatological use tests), microbiological and physicochemical analyses and extensive stability and compatibility studies. We continually strive for excellence in order to obtain formulas of the highest quality, which is reflected in excellent cosmetovigilance results. Our production is 100% manufactured in Spain and is centralised in a single plant with a large production capacity, from where we control the entire process. Our 14,000 m2 of facilities are equipped with the most advanced technology for manufacturing specialised cosmetics, together with the most efficient packaging lines on the market. International Featured Standards Household and Personal Care (IFS HPC), British Retail Consortium (BRC), Good Manufacturing Practices (GMP), ISO 22716, ISO 9001, among others. Focused on skin care and hair removal products, we employ the most advanced technology. Present in more than 50 countries, we are global experts in hair removal. We offer constant support to our customers to ensure the long-lasting success of the project. Consultancy service for the regulation, registration and preparation of cosmetic dossiers. Our own R&D+i laboratory, with a large and highly qualified team of experts. Our working model provides the solution to meeting market needs. 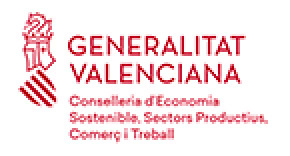 VIOKOX, S.A. has carried out the "SUSTAINABLE INVESTMENT PROJECT FOR IMPROVING COMPETITIVENESS BY EXPANDING THE PRODUCTIVE CAPACITY", for which it obtained a subsidy of €32,346.30 in the early call of 2018 for the improvement of the competitiveness and sustainability of industrial SMEs in the footwear, ceramics, metal-mechanics, textiles, toys, marble, wooden furniture, lighting, chemicals, automotive and plastics sectors in the Valencian Community", of the Regional Ministry of Sustainable Economy, Productive Sectors, Trade and Employment.